When hair has been impossibly damaged, isn’t NOW the time for a restoration process? Can you afford to go one more day, or even one more hour feeling less than fantastic? Don’t you love feeling like a million dollars at all times? Are you ready to get that inner glow back into your life by adding a “new spark” into your hair? Belegenza has combined a series of products to add strength, moisture, and deep shine to your hair that not only makes hair extraordinary, it has you feeling like you can now conquer the world! By using regularly, you will be infusing more and more potent inner core conditioning elements harvested from pristine sea extracts, exotic oil extracts, and over 14 highly effective herbs, spices and botanical extracts. Before you CUT off all the length you’ve been working to grow out, experience what these supercharged and highly advanced silicone-free products can do for you. Like celebrities, who have to make massive changes with their hair for each role, you now can use what is reserved for the secret “hair and makeup trailer” wizards! In the first use, you will feel the difference. With the relief of knowing you can now save your length, you will use these products regularly to add flexibility, style-ability, inner glow, and a load of self-confidence! A natural shampoo that is sulfate & salt free. Removes silicone and conventional product buildups. Made from a base of plant and vegetable juices, which starts with ALOE VERA as the main ingredient, not water. 3X more concentrated! A base of plant and vegetable juice, infused with anti-oxidants and vitamins creates a brilliant shine, adds strength, retains moisture, and extends each hair’s color. Extracts from South Sea waters, South American aquatic plants, Italian inspired olive extracts, with over 17 other potent & proven moisture balancers, this complex elixir satisfies all textures as it ‘reads’ your hair’s needs by porosity scanning. Where the ends need more of one ingredient and the new growth needs another ingredient, your hair absorbs EXACTLY what it requires to be in superior shape instantly! Our non-greasy gel, with a “springy molecule helix”, by enriching your hair with supple proteins. Hair develops much more body, yet remains soft to the touch. WITHOUT using acrylates (fancy name for liquid plastic, as in most gels) your hair is enveloped in a luxurious serving of natural style enhancers. Innately resistant of humidity & by protecting the inner moisture of your hair you will be protected from humidity that tries to wreck your masterpiece and crowning-glory-hairstyle! This non-sticky and non-greasy fusion eliminates flyaways and keeps hair clean. Use this to add strength, create a heat barrier, and now stop breakage. THIS concentrated form of Belegenza’s CLAIM TO FAME patent-pending extract is the ONLY silicone-free shine serum~~penetrating to add glow, rather than glossy coverups, the authentic glow in your hair is a subconscious cue to everyone that your hair is of the highest quality. Watch your confidence build as you stop the room and take in all the compliments! Purchased separately one would pay $142.00 plus shipping. That’s not what you’ll pay with this package! Free Shipping within Continental U.S.A.! Never again do you have to go out in public displaying that your hair has been abused, tattered, burned, or simply overlooked. 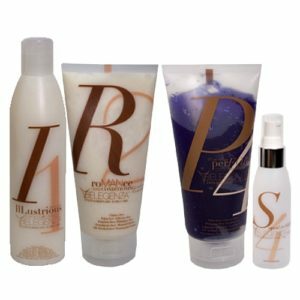 By beginning your hair recovery now, you can forever be confident and powerful knowing your hair is world-class & luxurious. You can now hold your head high, knowing that you now deserve the best life has to offer!